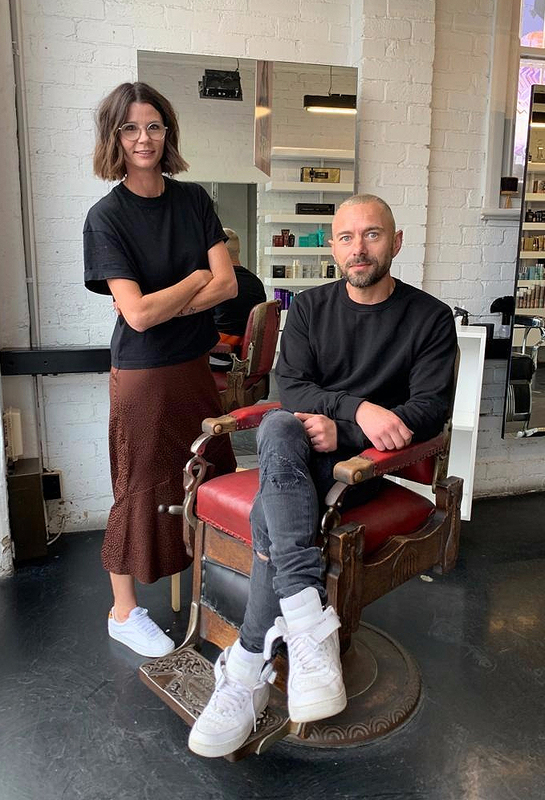 As salon owners, colourists and stylists, we’re continuously learning and growing – With Que Academy, the goal is to share our insights into what’s helped us to reach our own goals. This is foundational knowledge that can build successful businesses. She’s one of the most sought after colourists in the industry, and now Monique McMahon is presenting an all new colour program. Insatiably passionate about hair, education and all things colour, QUE Academy founder and master colourist Monique McMahon will again share her colour craft and industry expertise this month, with a collaborative education course designed to elevate your creativity and give you a 360 approach to hair colouration. Monique will work her colour magic on Sunday 5th May at the Headmasters Academy in Melbourne, sharing her 4-Step Colour method for all in attendance. The 4-Step Colour Method aims to deliver colourists with the confidence to explore and innovate with progressive colour techniques and styling, to streamline colour application process, boost consistency and improve quality. With special guests Frank Apostolopolous and Carl Keeley, the course gives you all you need to build their brand and introduce a new colour language to their salon. We caught up with Monique to talk development, creative process and the new 4-Step Colour Program. TJ: 2019 is gearing up to be a big year for salon education, what do you think is on the horizon for training? MM: Education this year is all about how to build a brand. This is why brand control is intertwined through all steps of my “four step colour method”. Salon owners want to know what is the most important area to invest in. They don’t want to throw money away on faddy training, and instead want to make strategic investments. Think social media; mastering the latest techniques, salon management and client relations – the key pillars of every successful salon business. 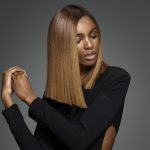 TJ: Not only have you introduced this new 4-step colour method, you have also rolled out options for bespoke workshops and brushed out blow-dry masterclasses. What’s the thinking behind this three-fold approach? MM: These were developed to share the secrets that have created success for us. The workshops each contain fundamental elements from OUR business which have led to sustainable growth, and when implemented in any other business will have them succeeding too! There’s something for everyone; from colour, styling to salon procedures. As salon owners, colourists and stylists, we’re continuously learning and growing – With Que Academy, the goal is to share our insights into what’s helped us to reach our own goals. This is foundational knowledge that can build successful businesses. TJ: Tell us more about the 4-Step Colour Program. MM: The 4-step colour method is a 360 view of all hair colouration; all possibilities and how to approach them. It enables success on every level of colour. You can expect to achieve consistency – from expectation, to service and client retention through to retail and pricing. TJ: What can attendees expect to take home from the workshop? MM: They will leave with techniques that not only shorten colour application time but boost consistency and the quality of your work. Everyone will leave with a new colour language to introduce to their salon along with a guide to how to input trending techniques into your colour service in a way that is understandable for you and your clients. We put prices to the techniques along with a time frame to work towards implementing them. TJ: What are the benefits of the private workshop format? MM: The private workshop is a great option if you are looking to strengthen your team culture, or if you are looking to strengthen particular areas that you feel you need work. Hosting a class enables you to curate your own workshop and handpick the techniques you want to master. Curated in a familiar and open environment (your salon) there’s less distractions and more time to really hone in on the techniques that can change the way your business performs. There’s a reason why we have such a high demand for ‘Host a class’ workshops! TJ: What inspired the ‘Brushed Out Blow Dry’ course? MM: The brushed out blow-dry, it’s time to bring it back! A blowdry is a great way to show off a colour technique and formula, and keeps the hair healthy! At QUE, we don’t have any irons in the salon. We don’t offer it as a service as we feel these tools burn the colour out of the hair, and change the integrity of the hair to a point where the colour doesn’t look its best. A masterful blow-dry goes hand in hand with great colour. You can’t have one without the other. You just can’t do a beautiful colour, then put an iron over it! You can actually watch the toner evaporate. For us, perfect blow-dry = perfect colour. TJ: Who will be ‘on the couch’ with you in Melbourne? MM: This is everyone’s opportunity to ask the questions they wouldn’t otherwise get the chance to ask some of our industries best. We love incorporating business into our workshops because without putting energy into a successful business model your salon won’t survive! Joining in on the fun this year will be Carl Keeley who is a gun at all things business. Along with multi-award winning hairstylist Frank Apostolopoulos. Kicking off 10am on Sunday 5th May, Monique’s first 4-step colour course will span a full day workshop. Places are limited, so be sure to get in quick! Head to quecolour.com to secure your spot.